As we continue in our series Walking with Jesus, we will be exploring scripture through a practice called Lectio Divina or “Divine Reading”. You can participate individually and as we go through the process during our weekly Bible study. Below is a description of how to apply this practice to daily scripture reading. 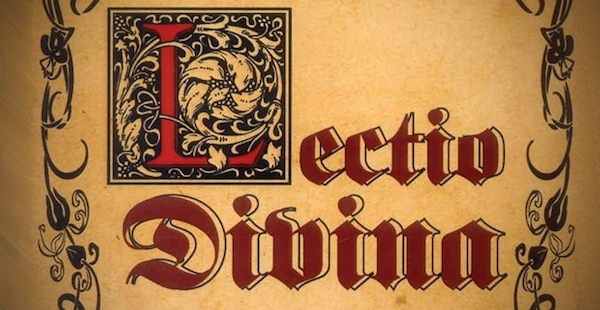 Lectio Divina, or “Divine Reading,” involves meditative listening to the reading, out loud and slowly, of a short passage or a few isolated verses of Scripture. It can be down on your own or with a group. Those who listen are encouraged to set aside analysis, and what they “know” already about the passage, seeking instead to open themselves to God’s word, listen with their hearts, and receive it expectantly and passively. They then attend to what they receive from God. God’s word is received personally, as an individualized gift to each person. Choose a short Scripture passage for your meditation, and it is to be read out loud slowly. Quiet yourself and ask the Holy Spirit to guard and guide your meditation. First reading. One-minute silent reflection before God. Take notice of whatever captures your attention in the passage or in your inner experience. Second reading. One-minute silent reflection. Listen for a single word or phrase that particularly strikes you. Third reading. Three to five minutes of silent reflection. Listen to how the passage seems to touch your life experience. Fourth reading. Three to five minutes of silent reflection. What do you feel the passage might be inviting you to do? What is God inviting you to be? How is God inviting you to change? Spend some time in prayer over what you received from God’s word, and give thanks for his gift to you. Begin. One participant opens with a brief, spoken prayer. Read. Another participant reads the passage aloud, slowly. Share. Each participant shares his/her word or phrase without comment. Another participant reads the same passage aloud from a different translation. Each participant shares his/her answer in turn, without comment. A third participant reads the passage aloud from yet another translation. Leader preparation: Select a short passage of Scripture. Having three translations available will add richness, but this is optional. Allow approximately 25 minutes for a group of five, longer with more participants. A digital timer or stopwatch is helpful. Group preparation: None, except access to pen and paper. Source: Material adapted from Sacred Companions by David Benner, 2002 by John Smed, Grace Vancouver. Materials used with permission, Redeemer Prayer Conference, June 2006.